My favorite tips for How to Set Up a Great Buffet will help you save time and stress so you can enjoy the party with your guests too! 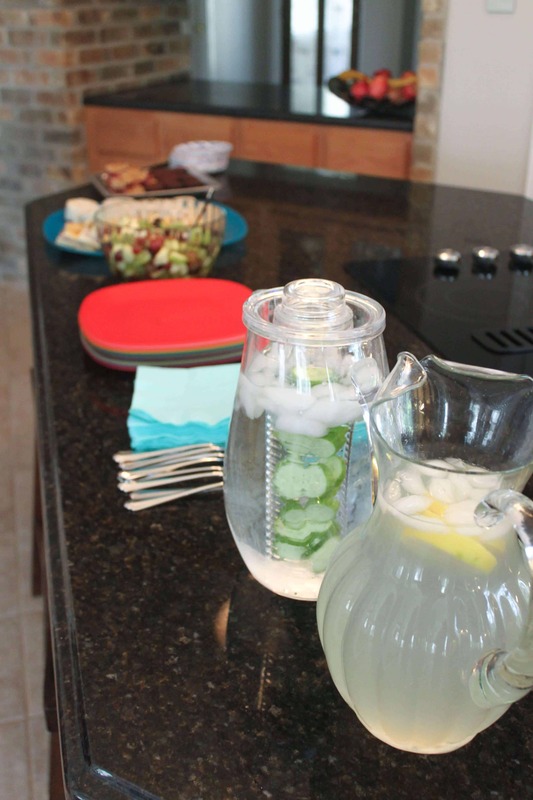 We like to entertain a lot more in our new house—it’s set up well for hosting guests! And when it comes to deciding on a menu, I almost always do a buffet. Some of this is a function of how many people are coming. Our dining room and kitchen tables only seat 6-8 total so if we have a larger group, everyone likes to spread out (outside on the patio sometimes too!) and a buffet is great because everyone can serve themselves and sit where they want. Of course, what makes a great buffet even better is time spent with friends and family. But over the years, I’ve learned a few things about setting up a buffet so that everyone has a good time (even me during planning and setup!) 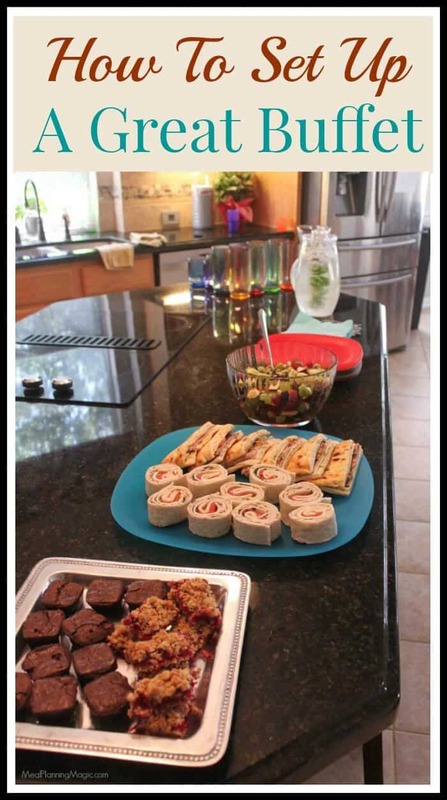 Here are some of my favorite tips on How to Set Up a Great Buffet that might help you too! Figuring out what you want to spend on your party will also help you when planning your menu. 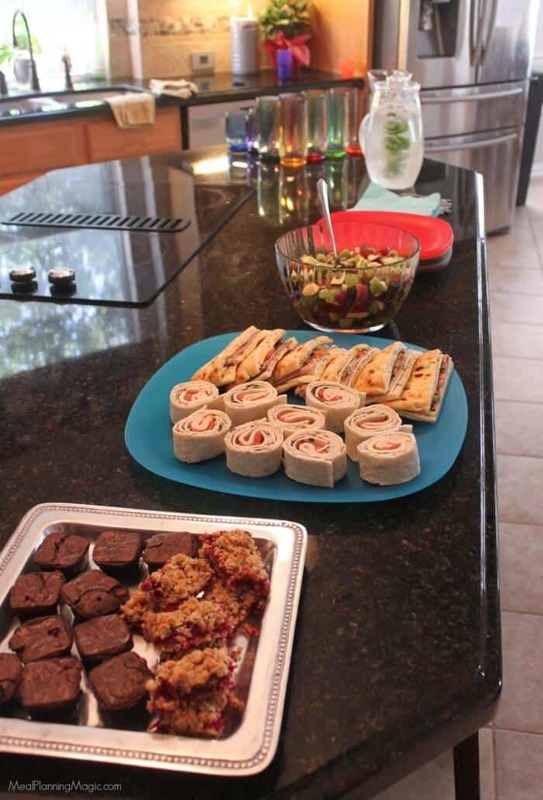 Sometimes our menu includes pre-made foods from our local wholesale club (they have some great deals on party trays!) or a combination of homemade and premade items. Of course, you pay a premium having food pre-made from the grocery store so keep that in mind. Keep in mind your available time too—making everything from scratch may be doable for some, but not for all. I usually do a combination of both. When choosing your menu and recipes, you’ll want to think about foods that will be ok to be prepared ahead of time and sit out for a bit. Keep in mind if your buffet is inside or outside where safe-food temperatures might be more of a concern. I usually like to have a few appetizers or dips, a couple of sides and the main meal. I usually try to make sure a few of those dishes are vegetarian too so I’m not leaving someone out. If I have the time, I will pull out all the serving platters, bowls and baskets that I’ll be using and stack them on a counter or somewhere else a little out of the way. That way I know what might need to be washed (sometimes my platters get a little dusty if they haven’t been used in a while) and what I’m missing if I need to borrow or buy something new (or go without). Don’t forget to pull out the napkins and silver or plastic ware you’re using and also the serving spoons and forks. I recently hosted a party and realized during setup that I was out of forks! Thankfully I had time to get some together before guests arrived. Choosing the right location is key to avoid bottlenecks and assure good flow of guests who are serving themselves your yummy food. Sometimes it makes sense to set up different stations. In my kitchen, I have a big island that I normally set the main meal and sides up around but I will usually have a separate counter for desserts and another for beverages (I like to have this close to the sink or refrigerator). On the day of your party or get-together, layout the platter, bowls, serving ware, napkins, etc. in the order you’ve decided makes the most sense for good flow. I like to start with the plates or bowls and then go with the appetizer or sides and main meal then end with the napkins and utensils. 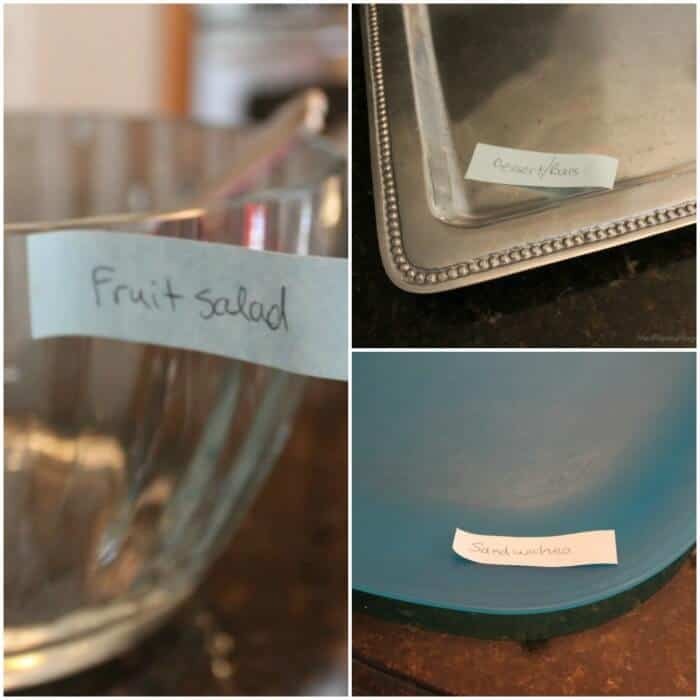 Then I will take sticky notes (that I cut up to save on paper) and write on them what dish will be in each platter or bowl, etc. That way, when I’ve got helpers in the kitchen, they know where things will go and can be a bit more independent while helping. 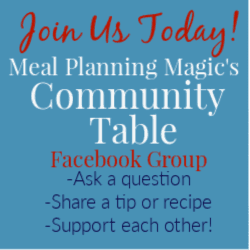 What are some of your favorite ways to make buffet set-up easier for you?